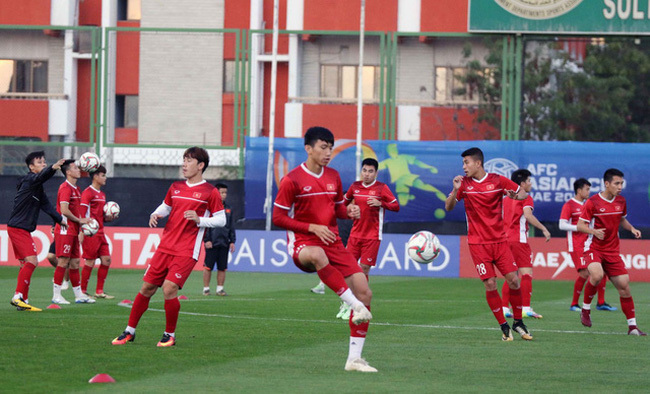 VTV.vn - Vietnam's football team are actively training and preparing for today's match against Iraq, the opening match of Group D at the AFC Asian Cup 2019 in the United Arab Emirates (UAE). Though Iraq is a strong team in Asia, the Vietnamese players remain confident and are looking forward to a successful match. The match against Iraq will kick off today at the Zayed Sports City Stadium in Abu Dhabi, the UAE at 8:30 pm Vietnam time.